Our board is diverse and is formed by people with the heart to serve and empower the Latino community. They bring expertise to CCATE and affirm the vision for a transformational community organization. All of our board members have previous experience contributing to non-profit organizations and bring to the table wisdom, discipline, and vision. They are active in the development of our programs. Rev. Angel Pagan who served for twenty years as an accountant for corporations and non – profit organizations, most recently in the American Baptist Home Mission Society (ABHMS) and currently is senior pastor of the Lower Merion Baptist Church, PA., accepted the position with joy and with the vision to expand CCATE financial capacity, and find a permanent home where CCATE can project for the next 20 years and bring partners. Rev. 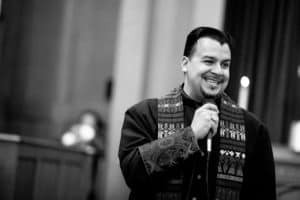 Pagan is from a Puerto Rican background and growth in the Bronx, New York and has an M.Div degree from Eastern University. Dr. Cristina Soriano is an Assistant Professor of History at Villanova University and the Director of Latin American Studies Program. 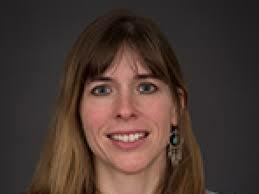 She specializes in colonial and modern Latin America, slavery and resistance movements, and cultural/ social history. Dr. Soriano knowledge about Latin America and Latino Society in the United States brings direction on this time when the immigrant and Latino community are confronting anti-immigrant policies in a rare environment. Dra. 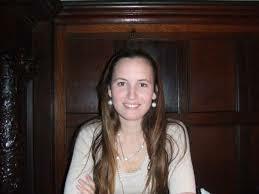 Soriano is from Caracas, Venezuela and obtained her Ph.D from New York University in Latin American Studies. Jessica Curran presently attends MCCC and will transfer to Chestnut Hill College fall 2018, where she will study Human Services and non-profit administration. She brings to CCATE nearly ten years of accounting and administrative experience. Caitlin Brady is an agricultural educator and food justice advocate. She connected with CCATE in the autumn of 2016 as a representative from Green Partner. It’s our honor to have her in the CCATE family! Ms. Marian Vidaurri is a Mexican diplomat and currently serves as Advisor for the General Secretary of the Organization of American States Luis Almagro. Vidaurri who has studied in Cornell University, Oxford University and the University of Pennsylvania is an example of Mexican diplomacy and her words encouraging communities to organize to create sustainable democracy inspired the Mural “Voices of Peace and Social Transformation” that was painted by fifty two CCATE – 21st CCLC Students at the Norristown Area High School. Marian brings to CCATE an international vision, an international exposure. Tulia Falleti (Ph.D. Political Science, Northwestern University, 2003; B.A. Sociology, University of Buenos Aires, Argentina, 1994) is the Class of 1965 Term Associate Professor of Political Science, Director of the Latin American and Latino Studies Program, and Senior Fellow of the Leonard Davis Institute for Health Economics at the University of Pennsylvania. Dr. Falleti brings to CCATE opportunities to our students top open the perspective for college opportunities as is the OAS model in partnership with the Organization of American States. 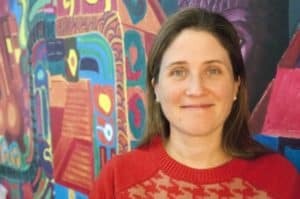 Catherine Bartch is the Associate Director of Latin American and Latinx Studies Program at the University of Pennsylvania. Her research interests include Latin American politics, democratic theory, civic education and participation, international development and identity politics. She has taught an array of courses on these topics and others, including Latin American Politics and Culture, Latin American Political Economy, Gender and Politics, International Relations, Comparative Politics, Constitutional Law, American Politics and Politics of Identity – to name a few—at various regional private and public universities and community colleges. Prior to her arrival at Penn, she was an Instructor at Monmouth University, where she also served as the Model UN advisor and a United Nations DPI/NGO Monmouth University representative. She recently completed her dissertation examining how university based civic education initiatives could educate for a participatory democracy, and she is currently expanding these research interests to the Latin American region. Caitlin Barry is a community lawyer and Professor from Villanova University, with focuses on migrant justice, gender self-determination, and grassroots empowerment. Her experience and knowledge in legal issues has made her a very valuable asset to CCATE. Arq. Fernando Toledo is a professor and architect from Mexico. Combining his experience in both Mexico and US, his projects have won several local, state and national awards. Rev. Florence Li Maldonado is an American Baptist Minister with vast experience working with refugees and immigrants. Native to Hong Kong, Rev. Li understands the difficulties that immigrant families face when arriving to a new country. Rev. Florence Li supports CCATE with her multicultural perspective and expertise. She also connects CCATE to clergy and faith organizations. Joe Thompson works as a director for marketing and strategy at Merck & Co. He began volunteering at CCATE in 2013 as a Math/Science tutor and joined the board in 2015. He has always been supportive in developing CCATE membership and program. As one of the earliest members of CCATE, Roberto Rodriguez began to teach weekend adult computer classic 2011, and joined CCATE board in 2012. In 2014 he became the second chair of CCATE serving on this position from 2014 to 2018. During his tenure CCATE expanded from 3 programs (After school, art and English) to 32 weekly courses in seven areas including art, education, environmental care, music, health and nutrition, media and technology and languages and literacy. Manuel González Canché joined the Higher Education division as an associate professor in 2017. At Penn GSE he also serves as affiliated faculty with the Human Development and Quantitative Methods division and the International Educational Development Program. In addition, he is a senior scholar in the Alliance for Higher Education and Democracy and a senior research associate at the Penn Center for Minority Serving Institutions. As a low-income and first-generation college student, González Canché has a special interest in understanding structural factors that influence minority and at-risk students’ likelihood of educational and occupational success. He aims to identify plans of action capable of closing social and economic gaps resulting from students’ reduced access to financial, academic, and social resources. His findings have offered a more nuanced understanding of the effect of location, influence, and competition, and have challenged traditional ideas about access, persistence, and success in higher education. González Canché is the 2016 recipient of the Association for the Study of Higher Education’s Promising Scholar/Early Career Award. He has secured funding for research from the Spencer Foundation, the American Education Research Association/National Science Foundation, the Association for Institutional Research, and the Institute of Education Sciences. In 2018, Rev. Angel Pagan who served for twenty years as an accountant accepted the position with joy and with the vision to expand CCATE financial capacity, and find a permanent home where CCATE can project for the next 20 years and bring partners. Caitlin Barry’s experience and knowledge in legal issues has made her a very valuable asset to CCATE. Caitlin Brady connected with CCATE in the autumn of 2016 as a representative from Green Partner. It’s our honor to have her in the CCATE family. Manuel González Canché is an associate professor and educator from University of Pennsylvania Graduate School of Education. 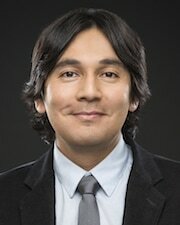 His research focuses on issues of access, persistence, and success on students’ outcomes and on education finance. Mirna Zaragoza is native from Puebla, Mexico a professional financial specialist graduated fro the Instituto Politécnico Nacional of Mexico City. Mrs. Zaragoza works at Pfizer Inc. Campus College Ville is Senior Information Technology Auditor. 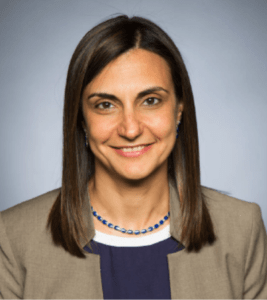 She brings to CCATE corporate experience, and a important partnership with CRG Latino group of Pfizer Inc.